The new family movie "Dora and the Lost City of Gold" opens in theatres in August. What actor plays the role of Dora? 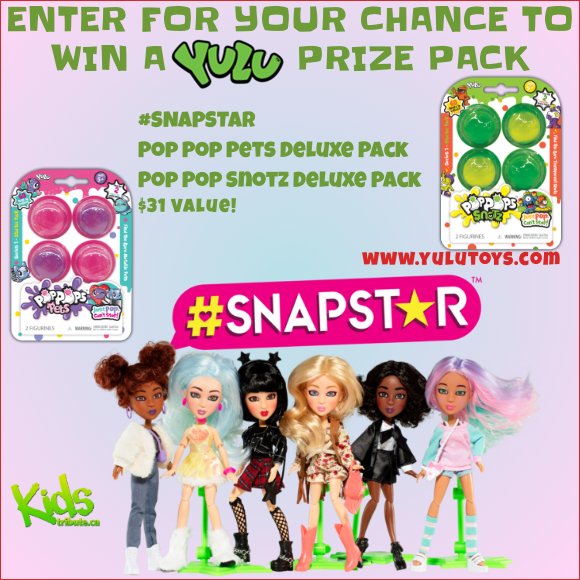 Access to the “YULU PRIZE PACK ” contest is obtained by visiting the Kids Tribute web site and clicking on the “YULU PRIZE PACK ” contest banner. You will be asked to provide your: first and last name, street address, city, province, postal code, postal code, phone number, e-mail address, age, and gender. Note that while not all fields are required to enter (required fields are marked by an asterisk), we will require your full mailing address for priYULU should your name be selected as a winner. Complete the entry form, correctly answer the skill-testing question and press “submit”. By entering the contest, the contestant consents to the release of his/her name. The contestant declares to have complied with the Contest Rules. Further, the winner must conform to all directions given by the Contest/Event organizers or his/her participation in the Contest/Event will be denied. Contest period starts on April 4, 2019 & ends Wednesday, June 5, 2019 at 09:00 a.m. (Eastern Standard Time). All entries must be received by Wednesday, June 5, 2019 at 09:00 a.m. (Eastern Standard Time) to be included in the prize draw. Tribute and Contest Sponsor are not responsible for late, lost, misdirected or incomplete entries. All entries should be for this draw and will not be kept for future draws. On Wednesday, June 5, 2019 at 10:00am (Eastern Standard Time) in Toronto, Ontario a random draw will be executed by Tribute for the Prizes from all eligible entries received on or before the contest closing date. The odds of winning a prize will depend upon the total number of eligible entries received on or before the applicable contest closing date. A selected entrant who has not successfully filled all the mandatory fields will be deemed to have forfeited the Prizes and Tribute shall be entitled to select a new name from the qualified entrants. Failure to respond or claim prize within 14 days after notification or return of e-mail notification as undeliverable after 3 attempts will result in forfeit of prize and the Contest Sponsor shall discard the selected entry and be entitled to randomly select an alternate winner. Prize will be mailed to winners at the address submitted by the winner upon entering the contest. If the mailed prize is returned as undeliverable, the winner will be deemed to have forfeited the prize. Prize winners will be contacted by telephone or email and may be required to complete and return a Release form in order to redeem their prize. By entering this contest the entrants automatically agree to accept and abide by these contest rules and regulations.